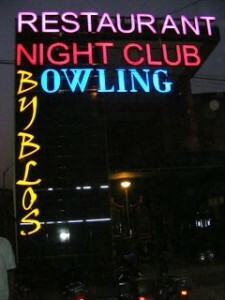 Yes, I know it’s hard to believe, but Bamako now has an eight lane bowling alley, situated in the ‘Byblos’ restaurant near the hippodrome. Amazing! 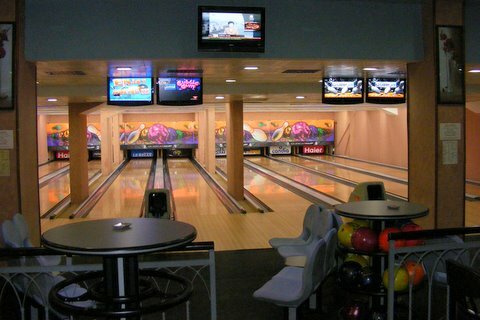 It’s virtually identical to the bowling alley in Ouagadougou (Burkina Faso), which formerly claimed to be ‘le bowling club le plus moderne d’Afrique occidentale’. Well, now theirs is the second most modern (and has 5 lanes instead of 8). 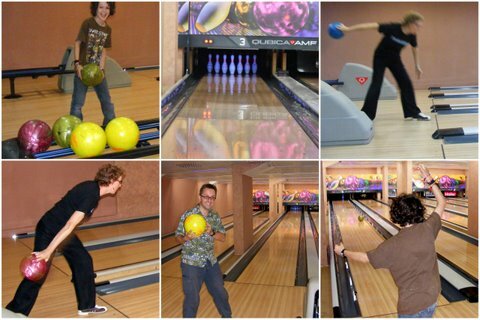 Click here to see the Ouaga bowling. So on Thursday night, as it was Lois’ birthday (and mine soon) we went to try out our hands at bowling, with Micah. It was very similar to the experience back home: they give you nice bowling shoes and the balls come in different, colour-coded sizes. There are even little barriers that come up for children, so that the ball doesn’t end up in the gutter! The only difference I noticed was that the skittles were actually attached by black cord on the top – a simpler system for getting them upright again, but which, I felt, slightly affected how they fell. The biggest downside was the cost: it’s 5,000cfa per person, per game (even for children!) That’s why we went whilst our daughters were on youth camp! That said, where else can you go bowling in Mali? And we can now say we’ve visited the most modern bowling alley in West Africa – how’s about that? !